I normally take a break during Thanksgiving week and skip publishing an edition of the newsletter so that I can cook, bake, and fill the larder with goodies for Thursday. But I’m cooking up something different for you with this edition. Rather than normal Q&A, I’d like to share four tips from the latest Ask The Headhunter publications. If you find something useful in them, I’ll be glad. 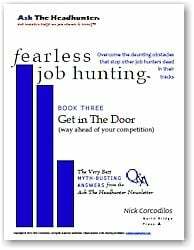 The idea behind the new Fearless Job Hunting books is that finding a job is not about prescribed steps. It’s not about following rules. In fact, job hunting is such an over-defined process that there are thousands of books and articles about how to do it — and the methods are all the same. What all those authors conveniently ignore is that the steps don’t work. If they did, every resume would get you an interview, which would in turn produce a job offer and a job. You just lost your job and your nerves are frayed. Please — take a moment to put your fears aside. Think about the implications of the choices you make. Consider the obstacles you encounter in your job search. When you’re worried about paying the rent, it seems that almost any job will do. Taking the first offer that comes along could be your biggest mistake. It’s also one of the most common reasons people go job hunting again soon — they settle for a wrong job, rather than select the right one. Study the company, establish contacts, learn the business, and build expertise. Rather than being just a hunter for any job, learn to be the solution to one company’s problems. That’s what gets you hired, because such dedication and focus makes you stand out. You could skip the resume submission step completely, but if it makes you feel good, send it in. Then forget about it. More important is that you start to understand the place where you want to work. This means you must start participating in the community and with people who work in the industry you want to be a part of. Every community has a structure and rules of navigation. Figure this out by circulating. Go to a party. Go to a professional conference or training program. Attend cultural and social events that require milling around with other people (think museums, concerts, churches). It’s natural to ask people you meet for advice and insight about the best companies in your industry. But don’t limit yourself to people in your own line of work. The glue that holds industries together includes lawyers, accountants, bankers, real estate brokers, printers, caterers and janitors. Use these contacts to identify members of the community you want to join, and start hanging out with them. From Fearless Job Hunting Book 7: Win The Salary Games (long before you negotiate an offer), p. 9: How can I avoid a salary cut? It might seem overly candid, but there’s not enough candor in the world of business. A salary negotiation should be an honest discussion about what you and the employer can both afford. I think the failure to research and understand one another is one of the key reasons why companies lay off employees and why workers quit jobs. They have no idea what they’re getting into until it’s too late. Proper due diligence is extensive and detailed. How far you go with it is up to you. Research is a funny thing. When it’s part of our job, and we get paid to do it, we do it thoroughly because we don’t want our judgments to appear unsupported by facts and data. When we need to do research for our own protection, we often skip it or we get sloppy. We “trust our instincts” and make career decisions by the seat of our pants. When a company uses a headhunter to fill a position, it expects [a high level] of due diligence to be performed on candidates the headhunter delivers. If this seems to be a bit much, consider that the fee the company pays a headhunter for all this due diligence can run upwards of $30,000 for a $100,000 position. Can you afford to do less when you’re judging your next employer? Remember that next to our friends and families, our employers represent the most important relationships we have. Remember that other people who have important relationships with your prospective employer practice due diligence: bankers, realtors, customers, vendors, venture capitalists and stock analysts. Can you afford to ignore it? Thanks to all of you for your contributions to this community throughout the year. Have you ever settled for the wrong job, or failed to scope out a work community before accepting a job? Did you get stuck with a salary cut, or with a surprise when you took a job without doing all the necessary investigations? Let’s talk about it! And have a wonderful Thanksgiving! In the November 18, 2013 Ask The Headhunter Newsletter, a reader asks about the rest of the stupid inteview questions… In the November 5 edition we discussed the first five of The Top 10 Stupid Interview Questions. (There are of course lots more than 10, but who’s counting?) Let’s recap the reader’s question, then tackle #6 – #10. What are your best skills? Do you prefer to work by yourself or with others? What salary are you expecting? What have I forgotten to ask? 6. Do you prefer to work by yourself or with others? Gimme a break. If you hire me, I’m working with you, right? Clearly, the purpose of the question is to assess whether you are a solitary type who prefers to avoid interacting with other people. Like you’re going to fess up if you’ve got asocial tendencies… In any case, if you take a guess and tell the interviewer what you think he wants to hear, you might be wrong. Worse, you risk getting a job that’s wrong for you. I think the best answer to this question is an offer. What’s not to like about such a direct assessment, where everyone can relax, forget about silly questions, and actually do some work? (Caution: Don’t let this turn into you doing lots of free work!) You’ll learn lots more about this approach in Fearless Job Hunting Book 6 – The Interview: Be The Profitable Hire. If the employer pays close attention to your answer and seems to be extrapolating from your hobbies — using some look-up table that explains what it really means when you say you like to read in your spare time — to decide whether you’d be a good hire, then this question is the least of your problems. Your hobbies are no one’s business. But don’t lose the interview over this one. My advice: Tell the truth and damn the torpedoes. If the employer can’t deal with your interests and won’t hire you because of what you do in your spare time, to heck with her because she’s going to micro-manage you. Everyone thinks they’re a psychologist. Thank you, Dr. Phil. 9. What salary are you expecting? If an employer asks you this question instead of, “What’s your current salary?” you’re probably dealing with a smart employer. Smart employers don’t care what you’re making now, because they can figure out for themselves what you’re worth to their business — and that’s what they’re going to offer you, no matter what you made last year. 10. What have I forgotten to ask? If you memorize these answers and use them, you’re a dope. (No offense.) Every person, every employer, ever interview, every situation is different. Use the answers I provided as a spark to get you thinking in the right direction. 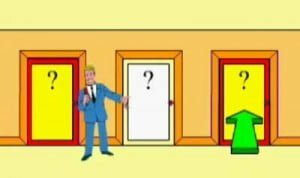 Preparing your own actual answers will require an immense amount of work on your part, for every single job you interview for. The details will be different in every case. Remember that giving the “right” answers is not the point. That could lead to a job offer for a job that’s totally wrong for you. You don’t want to just succeed in the interview; you want to succeed in getting the right job. And some interviews reveal lousy jobs that you should walk away from. The key to the ATH approach is figuring out the connection between the work you do and the profit you can add to a business. Without that, your answers to interview questions don’t matter. I hope you find my suggestions useful. How do you answer the top 10 interview questions (stupid or otherwise)? What makes your interviews work — and when and how have you failed? Outplacement Or Door Number 2? My company is downsizing and I know I’m going to get cut. HR tells us they’re going to give us help finding a job from a top firm that specializes in this. What do you think of outplacement? When you get fired, outplacement is often the consolation prize. The employer spends 10 or 15 grand to help the employee “transition” (that’s used as a verb, so help me) and the gullible departee is grateful that someone is going to find her a job. Now read my lips: Outplacement might extend your unemployment rather than help you land a new job. So take ownership of your status, and maybe put some extra cash in your pocket. Here’s how. Some years ago, when AT&T was doing a big downsizing, I got a call asking if I’d like to help with outplacement. I explained that I don’t scale — I can’t coach 5,000 people into new jobs because I don’t think anyone can do that. No, no, no, they said — you’ll be working with just a handful of managers who really need your help. So I took the gig. The handful of managers comprised the career development team — that branch of the human resources department responsible for outsourcing “transition assistance” for 14,000 employees to a bunch of huge outplacement firms at a cost of $15,000 per person. But the career development team didn’t want to go sit in cubicles with thousands of other newly minted job hunters. They wanted something better. They wanted highly customized help. Now, this was a huge feather in my cap. I represented “something better,” and I was proud of it. I did a good job helping every single one of them land in new jobs, and I got paid well. While there are some boutique outplacement firms that do good work, the outplacement industry is dominated by a few big players that process the downsized like cattle. Make sure you know what you’re getting into. You don’t choose the outplacement firm or the counselor you work with. Your employer does. So from the start, you’re in the back seat of this adventure. The outplacement firm works for your employer, not for you. The firm’s job is to get you out of your employer’s hair, keep you busy, and make you feel like someone’s going to get you a job so you won’t sue your employer for wrongful termination. Outplacement is mostly about the company’s liability, not your future. Outplacement firms earn more money when you don’t find a job. Say what? Just what I said. Some of these firms drag out the process to milk the client for more fees, and to make it look like their “process” is thorough. Many programs are boilerplate presentations conducted by lightweight trainers. In some cases, they’ll talk you into buying “premium” services with your own cash. 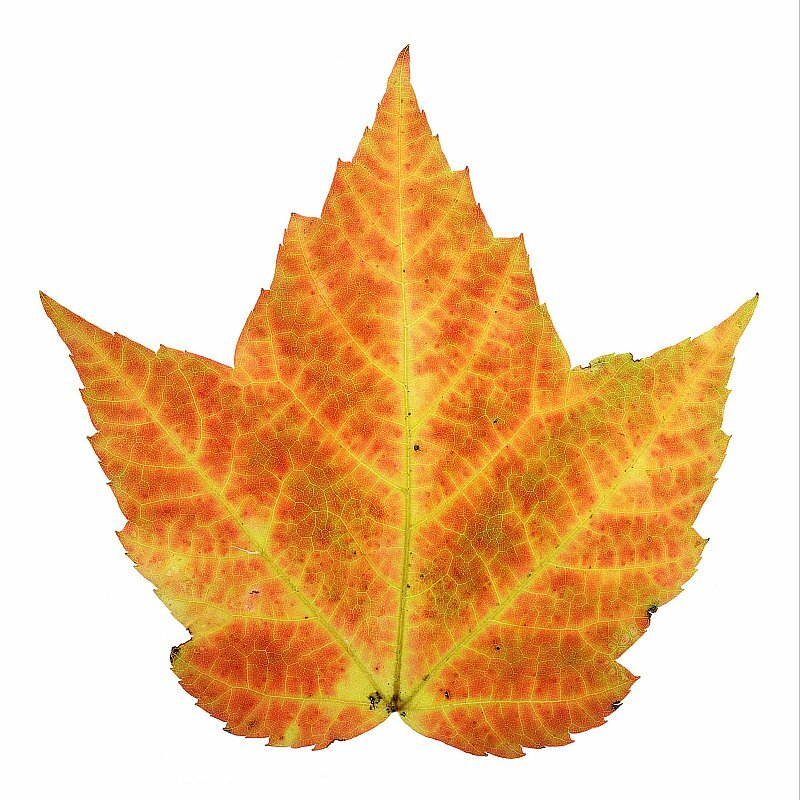 While you try hard to swallow the drivel some greenhorn counselor is feeding you (after all, you really do need help…) months drift by and your status deteriorates due to protracted unemployment. The firm looks busy, while you look like damaged goods. Outplacement might be helpful, but never forget that you are responsible for your next career step. Don’t be lulled into thinking that a high-priced consultant — who works for your former employer — has any real skin in your future. The skin is yours alone. Some employers are willing to give you cash in lieu of outplacement services if you ask. (You might have to sign release to get it. Talk to your lawyer.) It might be the best deal, and it might help you get into high job-hunting gear faster. If you decide to spend the money on outplacement with a good small firm, that’s up to you — you get to choose the firm and the counselor. If you use the money to tide you over while you conduct your own job search, that’s also up to you. I’d take Door Number 2: Go for the cash. Have you ever been downsized and outplaced? Tell us about your experiences! 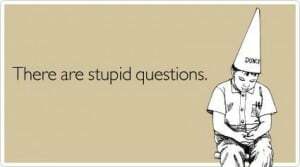 Ah, yet another version of The Top 10 Stupid Interview Questions! I’m sorry you didn’t share the suggested answers, because whoever wrote this is ushering you toward your interview demise. Are there really stupid questions? Of course — they’re questions that are old, loaded, and worn out. They are not worth asking because any fool can find dozens of clever rejoinders in books and articles (like this one) and regurgitate them with a smile. Interviews shouldn’t be about questions — they should be about two-way discussion. How are you going to do this job profitably for my company? Your challenge is to turn the interview around to a discussion based on that one question. But, here’s how I’d handle those Top Ten questions, because interviewers do ask them. Heads up: If you use my suggested answers, you’re a dope. Don’t be a dope! Use what follows as a first step to re-thinking how you manage your interviews. Turn them into discussions or working meetings. Before you start talking, think about how people nuke their own job interviews: Don’t Compete With Yourself. “Most job candidates sit like cornered mice, waiting for the interviewer to start the action. Don’t wait for the employer to ask you the first question— the question that will bring your anxiety to a head. Speak first. Get the ball rolling on a topic your scared self can’t interfere with. Talk about something you know absolutely nothing about, and which your scared self can’t screw up. 3. Why did you leave your last job? 4. What are your best skills? 5. What is your major weakness? Next week, we’ll cover Stupid Interview Questions #6 – #10. I’ve already got them worked up, but if you offer different questions that are better qualified for this notorious list, I’ll substitute your choices for the ones in this reader’s list. Of course, if you’ve got better suggestions than mine above, I expect to see them posted below as comments. Remember: This is about having a discussion with an employer. 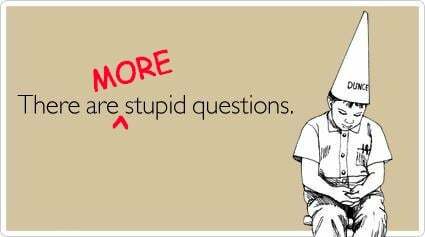 Not about clever answers to stupid questions. What’s the most ridiculous “serious” question an employer has asked you? Are canned questions really useful for assessing job applicants? What do you do when such questions come up in interviews? Join us on the blog!